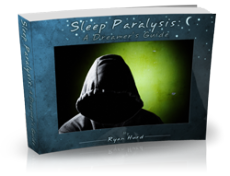 PLEASE HEAR ME OUT I paid online for the Ryan Hurd help book about overcoming night terror or nightmares with night paralysis. It would not download. I would be happy with the book being sent via mail and pay for shipping. My computer is in top form. This book was my last hope as I have been battling this since childhood. I do not wake easily from them, I dont see monsters. Its like a black cloud over me taking my breath and if I dont wake myself up I know I will die. 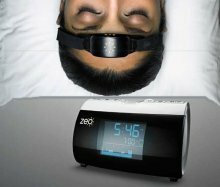 Thankfully my Husband is a light sleeper and can hear me having complication but he is terrified as it takes alot for him to get me to wake up. I can see him and hear him pleading with me but its gotten to the poit that he has to pull me into a sitting position. I do not drink alcohal nor do I take drugs. I do not suffer from insomnia. seeing a shrink f or the last 6 years but I feel as though he is not taking these things serious. I really needed that book. Thank for listening. Hope someone out there can help. Kevin: Thanks so much for sharing your story, and I do hear you, indeed, and hope I can be here for you as well. I've just sent you the book you had problems downloading. May it serve you well. And just know, you are not alone in this.